The Lafayette Center Preservation Foundation is pleased to present this collection of photos of our town. 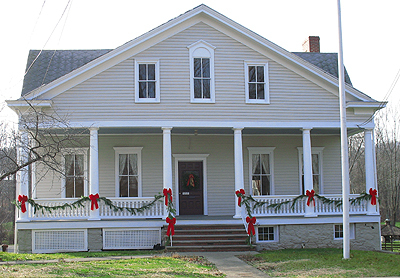 Interspersed with the photos of Lafayette's historic homes and buildings are gorgeous views of the rural scenery that contributes to the charm of our community. We welcome visitors to this web site to contribute photos of Lafayette Township for possible inclusion in our Gallery. Please include your name, photo location and date the photo was taken. If your photo is selected, it will be added to the Photo Gallery with your name. We will email you to let you know that it has been added to the web site. Thank you.